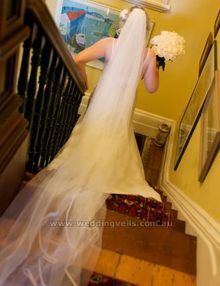 Estelle is a romantic, beautiful veil! 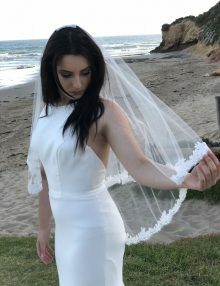 Perfect to wear with a lace wedding dress. 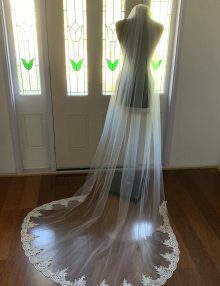 This single tier mantilla veil features beautiful French lace edging. 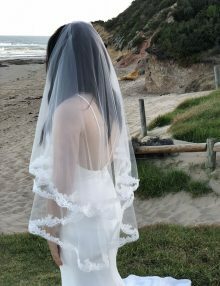 Can be worn at the top of the head, or further back if preferred. Has a clear comb at the top for easy positioning in your hair. Cannot be worn over the face. Starting from elbow length (70cm) and available in longer lengths. Made in medium fullness. 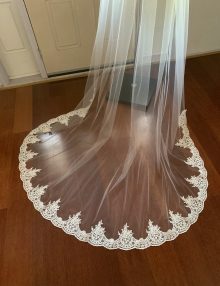 The lace for this veil is French chantilly lace (uncorded) which is beautiful and soft. 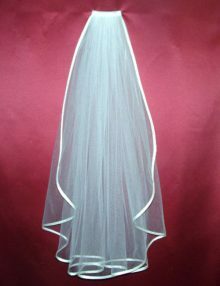 Main image shows this veil with French Alencon lace, which is no longer available. 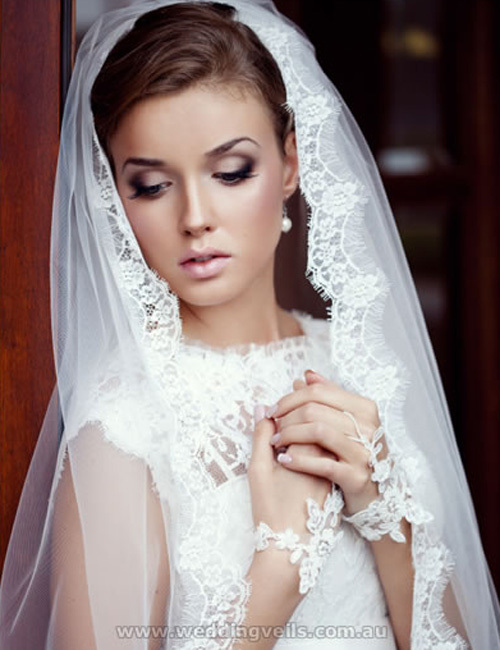 Images 2 and 3 show this veil in waist length with the French chantilly lace, uncorded, in ivory.